“Ok, Mommy!” Daniel agreed cheerfully. “Promise, Mommy!” He said again. Well, DANIEL DOESN’T HONOR CONTRACTS!!! By 4 pm, I have wiped pee on the floor, on the carpet, on my shirt, on our dining chair (never telling our guests which chair…) and a trail of tiny droplets on the way to the toilet. That last one, believe it or not, was us actually making progress. One of those times, Daniel actually bent down with me and helped to wipe and he said “Sowwee Mommy,” sadly. My heart melted but I remembered the article saying you can’t say “It’s ok” or anything because you want to train them that they have to pee in the toilet. So, it’s not ok to pee on the floor. I’ve decided to potty train him at 2 years old. The articles I read say that you can do it when your child can talk and the closer he is to 3, the harder it becomes. So I bought the potty seat and made sure I cleared 3 days off my week just to train him. Because I can’t stress this enough – you need to watch your child like a hawk. The moment you see his face change, you better RUN to the toilet. I was on my laptop for a while and when I turned around, there was a puddle on the floor. The moment I went to get a drink in the kitchen, my Vitagen and I were greeted by Daniel clutching his thingy and looking very uncomfortable. “Daniel!! Do you need to –?” Psssssssttttttttt, all over your floor. Pooing is easier because you have some time to gauge if he needs to poo, but peeing is instant and comes without warning. I used this article as a guide and found it so useful. I followed it as closely as I could, and now it’s been 3 days and Daniel has successfully used the toilet regularly. He tells me before he needs to go and we rush together to the toilet, both of us frantically chanting don’tpeeyetdon’tpeeyetdon’tpeeyet along the way. Both of us, it’s hilarious. Then he pees/poo on the seat and we clap our hands happily going YAYYYY! (I’ve never been so happy to see poo in my life). Then I let him flush as a treat and he never misses to wave to the toilet bowl saying “Bye bye Poopoo! See you later!” It’s so cute, guys! Umm this wasn’t in the manual. “No, it’s ok, Mommy doesn’t have to go,” I assure him. “No, Mommy go,” he points at the toilet adamantly, stomping his feet. Sigh. So Mommy had to go. I was feeling so shy to pee but Daniel clapped for me and went “Yay, Mommy!!!”. Felt kind of nice, gotta say. Peeing never felt so delightful! As daunting as the process is (requires a LOT of patience, I tell you), it was amazing to just be with him and Mariam for the whole 3 days. I still had to work from home which is super difficult with the 2 babies, so I gotta admit, productivity level went down the drain. But I cooked for him (Mariam isn’t on solids yet) and played with them and we coloured chickens together in Daniel’s colouring book. It was the best 3 days of my motherhood journey so far. Now, he only wears diaper to sleep, and ummm… to be honest, I’m not sure how long I should allow that. Advice? That bottom left picture is epic!! Haha..Daniel is so adorable! 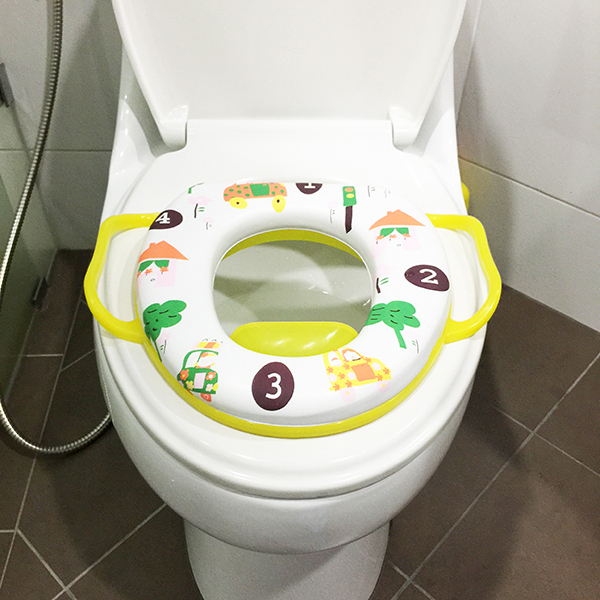 Reading your post abt potty training made me really nervous! My 1st is only abt a month younger than Daniel, and he doesn’t even understand what poopoo or peepee stands for yet. Maybe i’ll read the article you linked and give it a go lol! But hooray Daniel, Toddler milestone achieved! Babies (or toddler) do grow up fast dont you think? You may have noticed his diaper is dry in the mornings, this was the case with my son. So it is actually easier to get rid of diapers for nights. Just make sure you take him to pee straight after he wakes up. Put a diaper sheet under the regular sheet for emergency cases. The way trained my 3 kid was like this, I would take them every two hours to the loo regardless of whether the wanted to pee or not. I would ask them to empty their bowels. This way, u’ve have less headache having them pee-ing around the house. I’m curious what you cooked for him and how did it turn out? Hahahhahahaha! what we noticed with our boy, once he was potty trained during the day, he didn’t wet his diapers at night, so we stopped putting diapers on him. but we make sure to wake him up earlier than usual, bring him to the toilet to pee ASAP. he was 2 1/2 y/o when he was fully potty trained. do another 3 days training, and daniel will upgrade hehe! A silent reader I am. The night pee is usually easier. In the morning, diaper is dry.. yeap, that’s the time. Just that make sure before he goes to sleep, pee first and no water after. That’s what i did to my son. 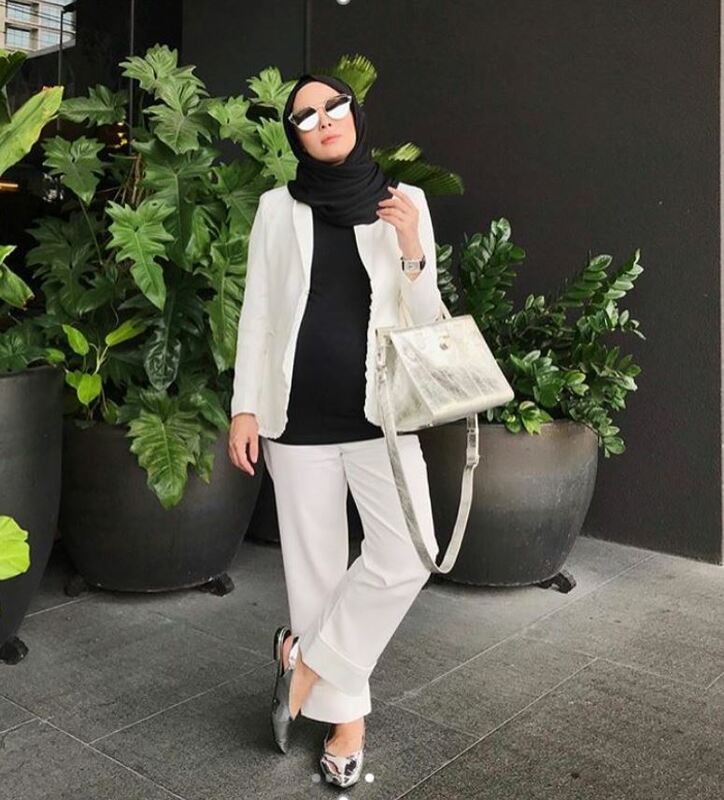 As salam vivy, would you please share the article that u read bout potty training, i should start reading as well although my girls is only 11 month. thank you in advance. Reading makes me nervous, its time? my girl is the same age as Daniel. wooowwww.. clap clap clap to daniel… pandainyaaa… dan ofcoz congrats to mummy! even my son is almost 3 years, no potty train for him yet. because, he is a special child and does not talk yet. Kes Jan lain lah kan.. But for a normal kid…bravo daniel dan mummy! the pictures is so cute, cheeky and cute! geramm..
ahahahahahahahahahah omaigod!! I laugh so hard I nearly pee in my pant reading this story! hahahahahahha.. never ever I read a story about potty training children as hilarious and cute as this! esp the part where mommy needs to go as Daniel told mommy!! 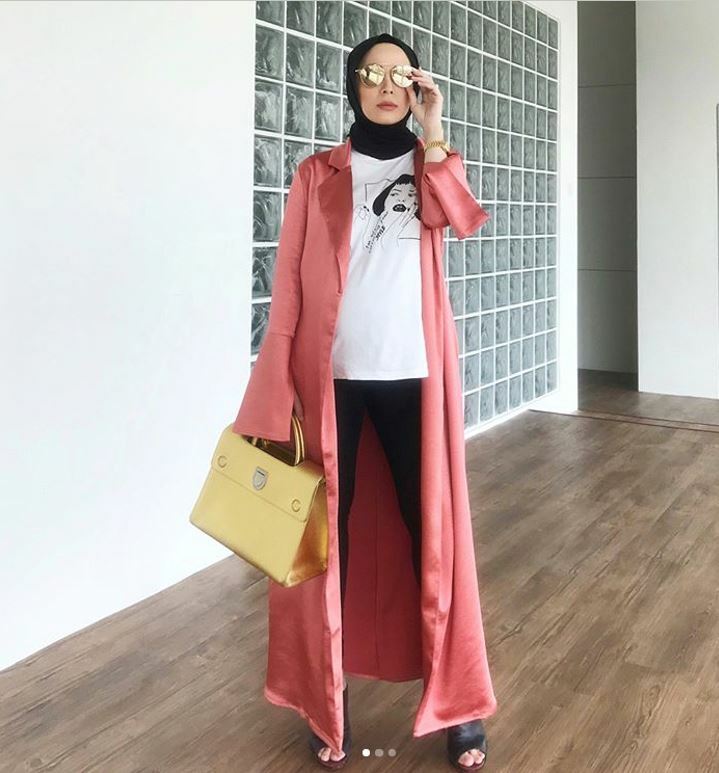 omaigod vivy u r so talented! hahahahahaha!!!! 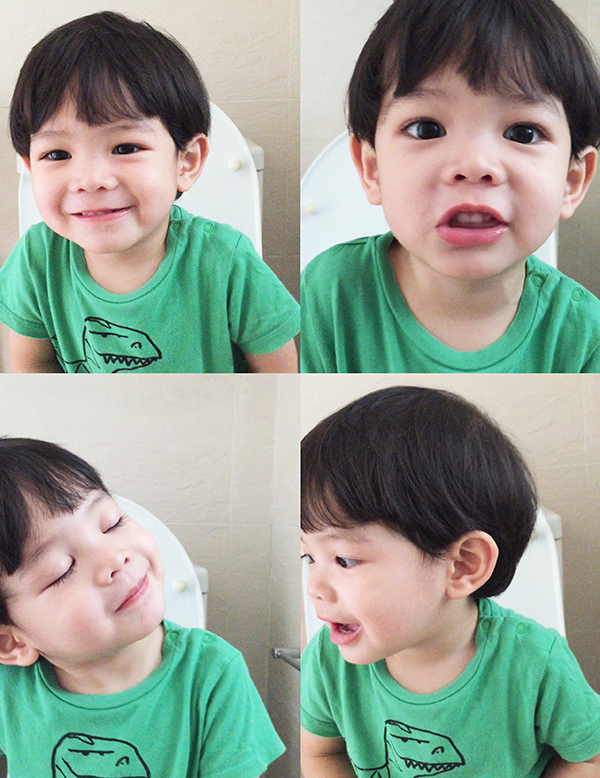 Daniel’s potty face is damn cute! It highlights the dangerous consequences of potty training including bedwetting up to 11 yo, recurrent UTIs, recurrent accidents, severe constipation, etc. If anything, you could just read it to have another viewpoint to the articles you have already read on the subject. When you notice that his diapers are dry in the morning, consistently, that’s when you can take off the night diaper, but you might wanna have a mattress protector there too, just in case. What you could also do is wake him up to use the potty when you’re about to go to sleep. Like let’s say Daniel’s bedtime is at 8, and yours is at 12, wake him up at 12 and get him to use the potty so that he doesn’t have hold it in for too long. A child at that age is normal. But yes, early potty training more favorable. Bring him out more and as you do, whenever he wants t go to toilet, tell him to signal you. When he achieves that, reward him. That will do the trick. Good luck. mommies, what if my daughter wakes up with heavy wet diapers every morning? not the time yet? vivy, please share the article for potty training that you used.. tq..
babe, get this step ladder + potty seat. so Daniel can climb up by himself and when it’s time he can wash after himself too. My kid loved the feeling of independence.